As you get acclimated to the workplace you are eventually going to have a difficult conversation. 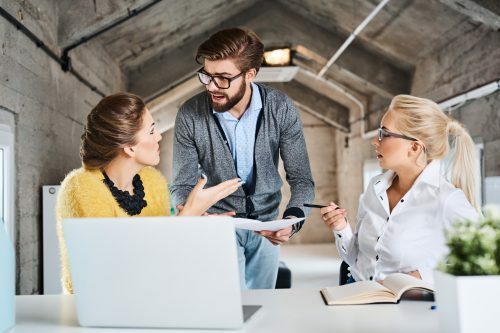 Being newer to the role or organization comes with a learning curve and sometimes with that learning curve comes the need to have some “real talk” with coworkers, bosses and management. This module teaches a proven methodology for how to best execute difficult conversations. Is it easy or hard for you to have a tough conversation? Why? What do you think you do well when having a “real talk”? Where could you improve? Between doing your homework, creating a strategy, starting from the third story, exploring their story and yours and leaving with a plan, where do you need to concentrate your attention? Will this improve your ability to have a difficult conversation? What was the last difficult conversation you had? Knowing the steps of having a difficult conversation, what would you have done differently? Work through an outline that maps out each step of the difficult conversation methodology. Input the fields based on a difficult conversation that is past due. Or work through the outline to assess a recent difficult conversation to determine what could have been improved upon.